Sign me up! — Beyond Pesticides Tell Major Retailers to Care About Kids! Tell Major Retailers to Care About Kids! 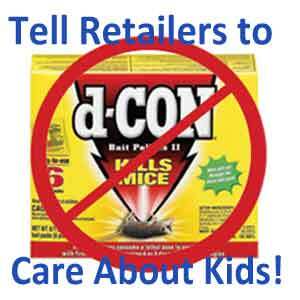 Ask the largest retailers in the nation: Walmart, Target, Home Depot, Lowe's, ACE Hardware, Giant, True Value, and Walgreens to make the holidays safer for children and stop selling dangerous mouse and rat bait products! EPA is fighting to ban these products to protect children, especially kids in low income communities because they face disproportionate risks to the danger of these poisons. Using legal tactics to delay EPA’s ban, Reckitt Benckiser LLC, the manufacturer of d-CON products, continues to sell 12 of its toxic products to retailers across the nation, despite findings that they present unreasonable risks to children, pets, and wildlife. These products can still be found on the shelves of Walmart and several other national retailers, despite regulatory action to remove these products from the market. Children, pets and wildlife are in danger. 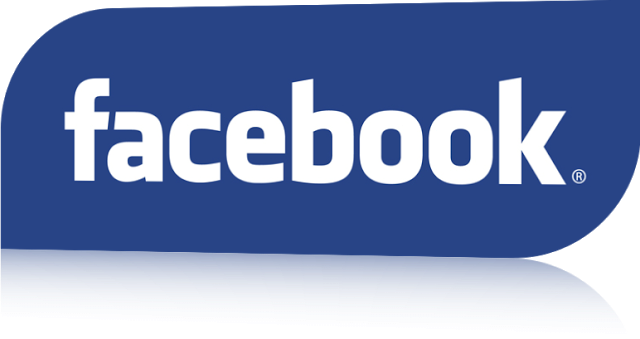 Between 1993 and 2008, the American Association of Poison Control Centers logged between 12,000 to 15,000 poison exposure reports of children under the age of six from mouse and rat baits. The most recent data from the 2011 Annual Report of the American Association on Poison Control Centers’ National Poison Data System indicates a reported total of 12,886 rodenticide exposures, with nearly 80% of those cases involving children 5 or under. EPA reported thousands of pet incidents from 2011 involving rodenticides, resulting in severe injury and death, not to mention medical costs to owners’ pets. These rodenticides have been tied to the poisonings of federally listed threatened and endangered species, such as the San Joaquin kit fox and Northern spotted owl, and the Bald eagle. Low-income communities face even greater dangers. New York State Health Department data collected between 1990 and 1997 showed 17.5% of children hospitalized for rodenticide exposure were below the poverty level, while children living below the poverty level at that time comprised only 13% of the State’s population. More recent New York City Department of Health and Mental Hygiene official comments indicate that 47% of all hospitalizations for unintentional pesticide exposure occur to Medicaid recipients. EPA emphasizes in a 2012 letter to Reckitt Benckiser that “[the Agency’s] decision to require enhanced safety measures for consumer rodent-control products benefits all communities, but particularly economically-disadvantaged communities that are disproportionately burdened by rodent infestations and whose children are disproportionately exposed to rodenticides. Alternatives are effective. The Boston Housing Authority (BHA) and Boston Public Health Commission implementation of an integrated pest management (IPM) program in 2005 in low-income housing reduced the number of cockroaches and rodents, without the use of open pellet bait stations. Health officials attribute this program to asthma incidences dropping by nearly by half since 2005. Join Beyond Pesticides in telling Walmart and other retailers to care about kids this holiday season and pull these toxic pesticide products from store shelves! EPA made sure that there would be clear and effective alternatives to the use of unsecured bait stations. Walmart, for example, carries a wide variety of both non-toxic alternatives, such as mechanical and sticky traps, and more protective bait station products. These alternatives make stocking these unsafe canceled products unnecessary for consumers and retailers like Walmart. In addition to these consumer-based alternatives, Beyond Pesticides believes that defined integrated pest management (IPM) practices for structural pest management are vital tools that aid in the rediscovery of non-toxic methods to control rodents and help facilitate the transition to a pesticide-free (and healthier) world. Read Beyond Pesticides fact sheet on Minimizing Mouse Madness for more information on alternatives practices to manage mice and other rodents without harmful pesticides.